Aurum: The Golden Planet now available! 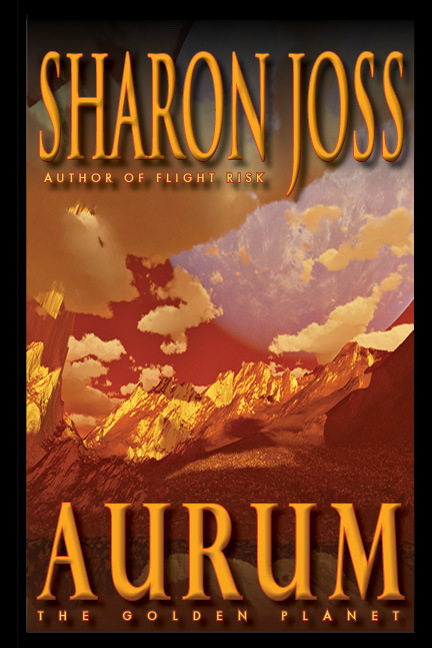 Aja Publishing is pleased to announce the highly-anticipated launch of Aurum, a new science fiction / adventure novel from Sharon Joss. The embargoed planet of Aurum contains the richest deposits of gold in the galaxy. Accessible only once every four years to the wealthy elite attending the Gold Festival, master engraver Renly Harkness travels deep into the forbidden zone of this plague planet to rescue his missing older brother. Accompanied by the beautiful half-breed, K’Sati, and haunted by a debt he fears he can never repay, Renly risks his life and faces his darkest fears to rescue his beloved brother. Available in paperback and Kindle from Amazon, and all your favorite e-book retailers. Posted on February 14, 2014, in adventure, Aurum, E-book, gold, New Release, Paperback, Science Fiction, Sharon Joss and tagged adventure, AJA Publishing, Aurum, danger, dragons, genetic virus, gold, Golden Planet, New release, romance, Science Fiction, Sharon Joss. Bookmark the permalink. Leave a comment.